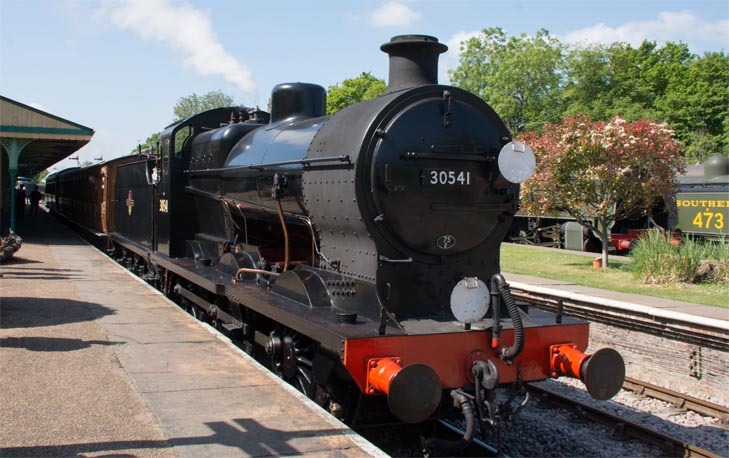 30541 is a Q class 0-6-0 steam tender locomotive that was designed by Richard Maunsell for the Southern Railway. 20 of these locomotives were built in the late 1930s by Oliver Bulleid. 30541 is the only locomotive saved of this class. This locomotive was one of the locomotives that ended up at the Barry scrapyard of Woodham Brothers. While 1000s of coal wagons were cut up in the yard the steam locomotives were left to rot. This gave groups of train buffs and railways time to save up the cash to buy what were often a lot of rust. 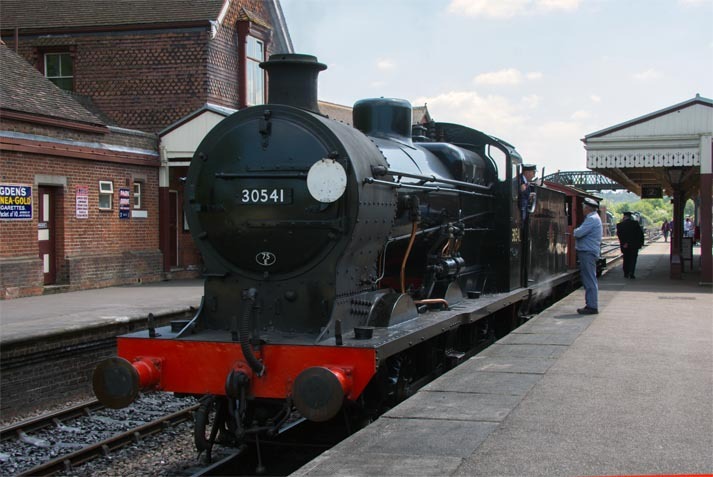 30541 was saved by the Bluebell Railway, returning back into steam in 2015. Southern Railway Q class 0-6-0 no.30541 in Horsted Keynes station with a train to Kingscote in 2007. Southern Railway Q class 0-6-0 no.30541 in Sheffield Park station giving brake van rides. Southern Railway Q class 0-6-0 no.30541 in Kingscote station with a train to East Grinstead. The Bluebell Railway was the first standard gauge railways to to be reopened by as a preserved railway in the UK. It ran only from Sheffield Park to the small Bluebell Halt at first. 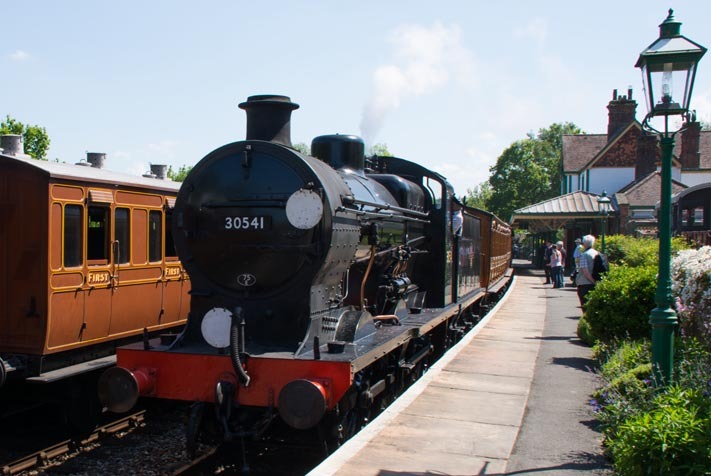 Then for a number of years it ran between Sheffield Park station and Horsted Keynes. Trains then ran from Sheffield Park to Kingscote. Trains are now able to run to a new Bluebell station next to East Grinstead main line station, now that the work to clear the Imberhorne cutting is done. The cutting had been filled with household waste from East Grinstead, after the line was closed. A lot of this household waste was taken away by train. New Track signals and a new station platforms at East Grinstead were then needed for Bluebell trains. This now gives the Bluebell railway a mainline connection. The Bluebell was a steam only line for many years. It still only uses a diesel when it has to. This page is about the Bluebell Railway in 2018.